A medieval and Renaissance hill town, with beautiful views over the surrounding landscape. Famous first among wine passionate for the Nobile, then among teenagers for being the set of a very popular film saga. A visit to the ‘Tempio di Biago’ on the outskirts is definitely worthwhile. 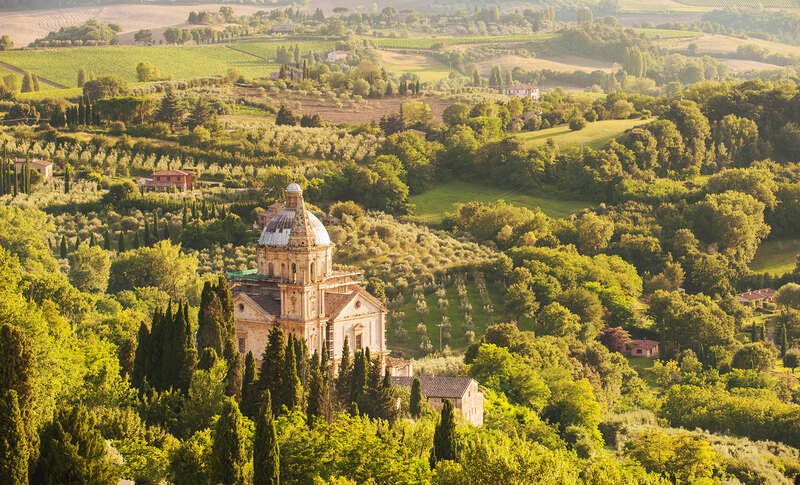 Next to these nearby destinations, Firenze, San Gimignano, Cortona, Arezzo, Perugia, Assisi, Orvieto and the Tuscan coast can be reached within less than an hour and a half drive. Within the same distance range there are Volterra and Chiusi, worthwhile a visit for those who have an interest in history, as these two towns were the main capitals of the Etruscan civilization.